Gross Sues PIMCO: Seeking Justice or Revenge? Experts share their views on what the Janus bond king hopes to accomplish with his legal maneuver. 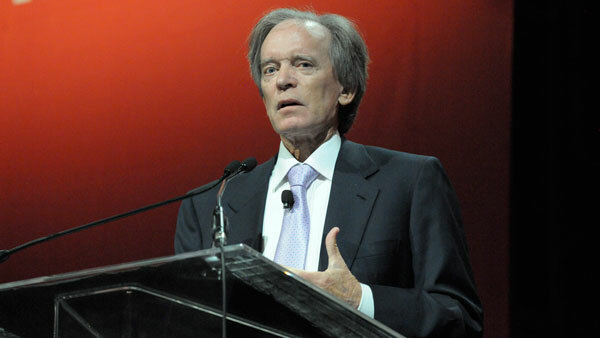 One year after he was pushed out of the bond fund shop he founded, Bill Gross is suing PIMCO and its parent company, Allianz, for “hundreds of millions of dollars,” according to the lawsuit filed in a Southern California court. Patty Glaser, the lead attorney representing Gross, who is now with Janus Capital, says proceeds from the lawsuit will go to charity, including the PIMCO Foundation. In the suit, which is now available online, the fixed-income expert says he was wronged and deserves compensation. But does this legal and public relations strategy – which comes about 15 months after Gross famously donned a pair of sunglasses during his presentation at the annual Morningstar Investment Conference – make sense? “There’s really been nothing out there that has justified his position or told his story, so this [suit] could be helpful in that it gets his side of the story out there. And there is the issue of money, too,” said Patrick Burns, an attorney based in the Los Angeles area who represents breakaway brokers and others. He is the victim, according to the suit. In contrast, the lawsuit portrays Gross as a warrior for investors. The lawsuit isn’t completely unexpected, of course, given the past year or so of tension between Gross and PIMCO that has largely played out in the media. “No matter how much wealth you’ve amassed, no one wants to feel that they were treated shabbily and unjustly,” said Mark Elzweig, head of Mark Elzweig Co., an executive-search consultancy that has worked with advisors and asset managers. “Bonus disputes of this nature in which an employee is fired shortly before their bonus is due and then not properly paid are not uncommon on Wall Street. Traders and investment bankers often lodge them against their former employers,” Elzweig explained. Both Elzweig and Burns believe by telling his side of the breakup, Gross could get investors and others thinking more critically about what transpired. Late Thursday, Morningstar senior manager research analyst Eric Jacobson weighed in on the matter. While Jacobson says the lawsuit does not affect the research group’s opinion of PIMCO funds or how they’re managed, “There is one element of potential interest to shareholders, however,” he said.